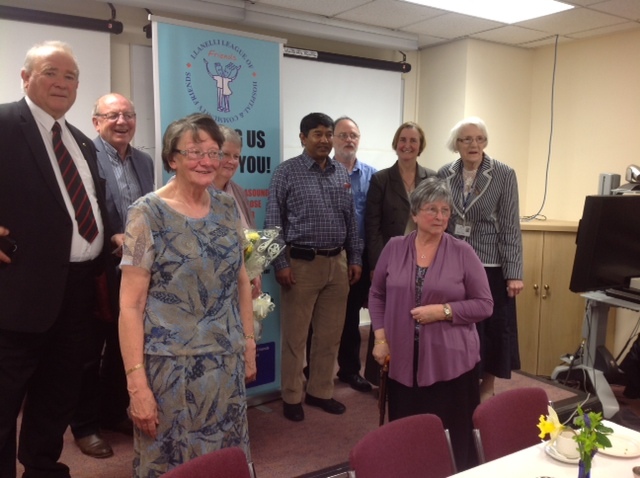 On Saturday Nia Griffith MP and Keith Davies AM joined urological cancer specialist Mr Moosa at Prince Philip Hospital for the Easter Tea organised by the Llanelli and District League of Hospital Friends. The money raised from this event is to go towards the purchase of a special scanner, which can combine the job of an MRI scanner and an ultrasound scanner, and will be used to facilitate the diagnosis of prostrate cancer. “I would like to thank the League of Friends for all their hard work, both for today’s event and at their regular hospital stall throughout the year, and all who have come along to support the Easter Tea. Through these efforts patients will benefit from the availability of a state of the art scanner, which will help in the early diagnosis of prostrate cancer.